What is a Disintegrator – For those of you that are unfamiliar with Disintegrators, these units were brought to market in the 1960’s by Security Engineered Machinery company as a environmentally friendly solution for destruction of high security Government or company sensitive paper documents and other media . In the early days, incineration or other forms of burning, were widely accepted methods of destroying sensitive documents. Due to environmental restrictions, incinerators are an outdated method of destruction and difficult to find in most U.S. cities today. Disintegrators on the other hand, are nearly indestructible mechanical cutting machines that are literally built like tanks. They are the perfect device for Remanufacturing. Advantages of purchasing a remanufactured unit – With basic cosmetic work and factory refurbishing, Disintegrators can be made to look like new again. The biggest advantage in purchasing a remanufactured Disintegrator is a substantial cost savings. In most cases, up to a 50% savings. Machines are typically sent back to the factory by a customer for refurbishment and upgrading or they can be bought directly from the factory on an outright purchase. Remanufacturing Options – At one time, machines came standard with 3 rotating knives and are still readily available. Now, as part of the refurbishing process, a new 5 Bladed Rotor can be inserted as a factory upgrade. This option offers you “New Machine Technology”. The benefit- a 5-bladed rotor produces more cuts per revolution and increases the capacity of older style machines by 30% or more. Either way, Disintegrators should be purchased according to your volume of material and types of sensitive products. A factory representative can help you determine your needs. Remanufactured machines receive Repainting & Relabeling, New Cutting Knives, and Replacement of defective out of tolerance components including safety switches. They receive a final inspection and testing to new machine standards. Machines also receive an excellent warranty. This could very well be the way to go as a great cost saving alternative. 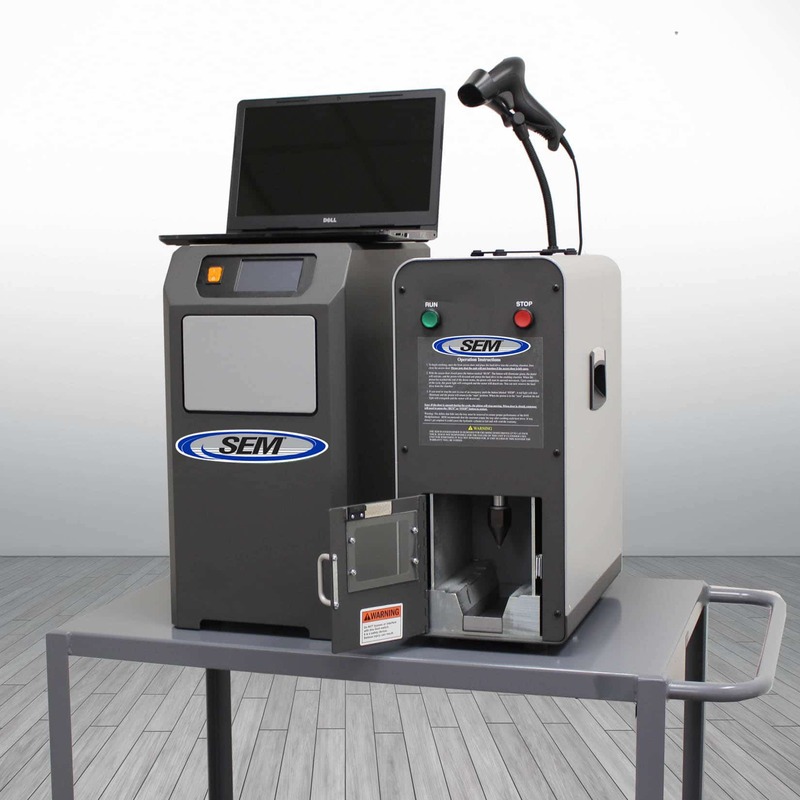 For more information, please visit our website at www.semshred.com or call 800-225-9293 and ask for your area representative to provide you with a free equipment evaluation.